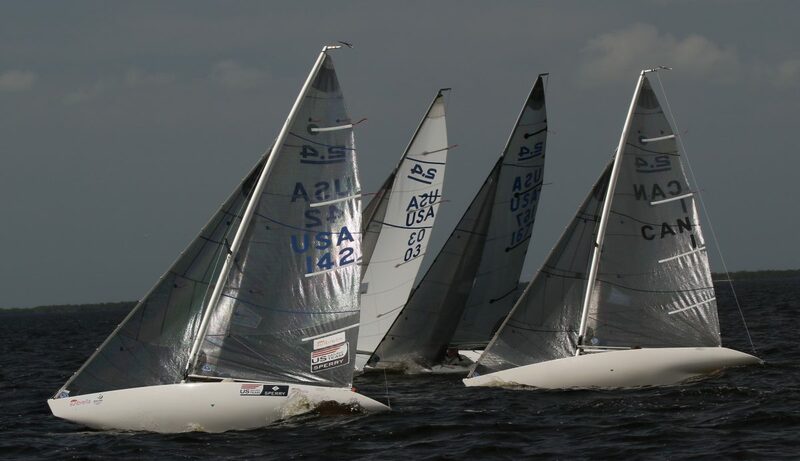 Saturday, March 12th the Punta Gorda Isles Yacht club hosted the 2016 Charlotte Harbor one design Leukemia Cup. Racing began with 10 2.4mrs on the line in a SW breeze near 13kts. The wind moderated to 6 -10 kts for the final races. Reading the big shifts correctly was a must for success as always. Race Committee was able to get 4 races in, with Dennis Peck and Charlie Rosenfield tied with 11 points each. Charlie won the tiebreaker for first, leaving third place for Tony Pocklington with 13 points. This fun event was a nice way to cap our Spring 2.4mr clinic. Thanks to the Charlotte Harbor Yacht Club for allowing our class to utilize their facilities.